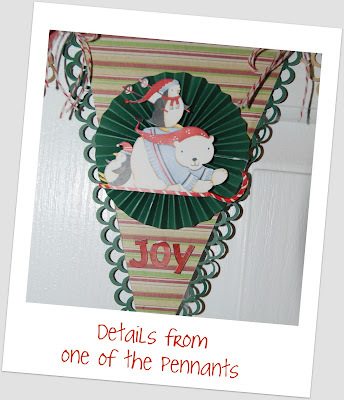 CardMonkey's Paper Jungle: Wait 'til you see all of the fabulous CHRISTMAS BANNERS!! Wait 'til you see all of the fabulous CHRISTMAS BANNERS!! Welcome to Day #2 of the CHRISTMAS is for KIDS BANNER HOP. I am privileged to work at Pediatric Specialty Care as Admissions Coordinator. 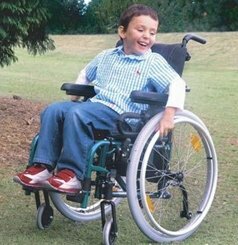 The children (ages 0-21) we see are medically-fragile and technologically-dependent -- many are tethered to a ventilator that runs through a tracheostomy; most are wheelchair-bound, and cognitively impaired. They are all delightful children who face life with optimism and hope for a better tomorrow. 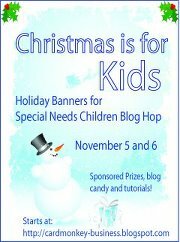 On this hop, we have 34 generous hoppers who have created fabulous banners. I've split the group in half so you're not overwhelmed with completing the hop in just one day. If you missed yesterday's wonderful banners, do scroll down to my post from yesterday for a list of Day #1's participants. Visit their blogs too, for additional inspiration ... leave ♥love♥ and get extra chances to win fabulous blog candy from our sponsors! their own choosing from www.MeljenDesigns.com! valued at $20 toward your purchase from their terrific site! http://meiflower.co.uk site. They'll be giving a voucher valued approx $32 USD. Follow the blog and comment on as many projects as you choose -- the more blogs where you comment and follow, the more chances you have to win. There's just one catch: please actually comment on the project, which shows you've looked at the project, not just cut/pasting random comments ("CUTE! TYFS") only to win the prize. Random.org will choose the winners, subject to verification that winners have met the above-stated criteria. I sandwiched the border between front decorative paper from an 8x8"
Holiday pack and a piece of cereal box cardboard (love that stuff!!). was tied together with loops of baker's twine as well. No matter their limitations, the eyes of the kids who reside at Pediatric Specialty Care light up when given a handmade banner or card. They love the bright colors, and knowing that there are so many people from around the world care enough to send them these decorations for their rooms. Of the 9 reindeer Meljen digi-stamps I've colored and shown above (from my Day #1 banner), which one is your favorite, and why? Thank you again for visiting today. 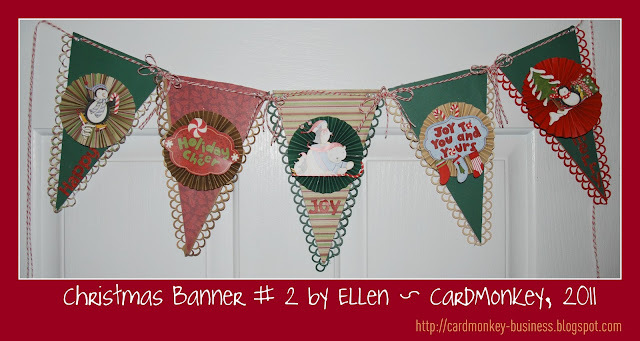 I hope you're inspired to make your own Holiday Banner ... let your inner Elf emerge! DON'T FORGET ... HOP OVER TO MICHELLE NEXT! Of the deer my favorite is the one with the glasses. I guess it just stands out more and most my family wear glasses. Love your banner, thinking of doing one myself. I wrote zesterdaz that Donner is mz facvourite because of his scraf and it still is }gg}. Zour second banner is as much beautiful as the first one ! Dear Ellen, Your banner for today is totally AWESOME!!!! I love the pennant shape and the colours you have used. Thank you so much for asking me to take part in this fabulous blog hop for such a worthy cause. I hope the children like my banner as much as I enjoyed making it and I am sure they will get a lot of pleasure from all the other banners in this blog hop. God bless you for your dedication to these very special children. Sending big hugs to all of them. Well, it's still Donner...of course. LOL. I really like this 2nd banner too! Don't make me pic a favorite...I just can't do it. How can you NOT love that Comet with the goggles and all- what a riot! Wonderful banners Ellen! I super love the reindeer banner! I want to say Blitzen is my fav. because he reminds me of my son, but Cupid is gonna take home the trophy from me. Great job on both of these. Ellen this is adorable! I adore that double loop punch too! I know how long it takes to make those rosettes so I can only imagine the time that you put in this gift of love. Thanks for letting me participate in this hop with you. Love LOVE those rosettes! Um, of course my favorite is Comet...with his little rocket jetpack and glasses he is da bomb!! Wow. Amazing banners. I love the edging on day2' s banner. And Day 1, wow!!! Those kids are going to love them. My favoriter deer is Dancer. I love he pink little tutu:)I've yet to make a banner, now I'm scared too, lol, I'll always compare them to yours. I love the banner! So festive and bright! What you are doing with this hop is wonderful! Please post some pics if you can of the children when they see the banner! Thank you so much for allowing me to be a part of this wonderful hop for such as great cause.... and, this time my daughter actually sat with me and helped me and I talked with her (she's 15 and not interested in crafting at all to say the least) but, I talked with her about the kids that spend their time with you and your staff at PSC of Bucks and I think it made her feel good to know that she was helping out other little kids by doing the tiny little thing she was doing.... I don't think she realized that just the smallest gesture can make the biggest difference. My favorite of your deer from yesterday is Vixen... I think she looks impowering...I have a few favs but she's my fav. How pretty! I love that punch you used, now I am going to need to buy it Lol.. Thank You for hosting such a wonderful hop and for having me be part of it, it is truly an honor to do this. Day2 was just as gorgeous as Day1. You have great banners. Not sure which is my favorite of all. Now, as far as my fav deer I would have to say Nixen is. The vibrant color PINK stands out and those are my fav colors this year the pinks and lime greens for Christmas this year. Love it. thanks for a fab give-a-way too! another day of hopping and seeing wonderful projects. Your banners are adorable. One day one, I don't have a favorite, I was too awestruck with all the coloring/detail in each one. Beautiful job. I know the kids will love these. Thanks for letting me participate in this hop with you. Love the tutu on Cupid, although hard to pick a favorite. Thanks for sharing your talent with us, Ellen. I commented on yesterday's post answering the question, I just wanted to let you know that I love your project from today. The penguins are so adorable. Okay, you are awesome!!! Both banners Rocck! You will sure make some child very happy. TFS! Cute polar bears & penguins today! You have so much detail & color on your designs. My daughter like Cupid with all the hearts; maybe he is delivering extra love to all the children! What a special blog hop. Love the MS double loop punch. Wouldn't have thought to use my punches to add that extra special touch to the banner. Yeah I have another new idea to use. Thanks bunches. PS- your Santa and rain deer banner is super cute too and also a great banner idea that I wouldn't have thought of doing. Great hop, Ellen! I've definitely enjoyed making these banners knowing they're brightening the kids' days. Mthanks so much for doing this! Have a great day! Ellen you made such beautiful banners. I only wish I could make those beautiful rosettes. You are amazing. Thank you so much for this wonderful hop! 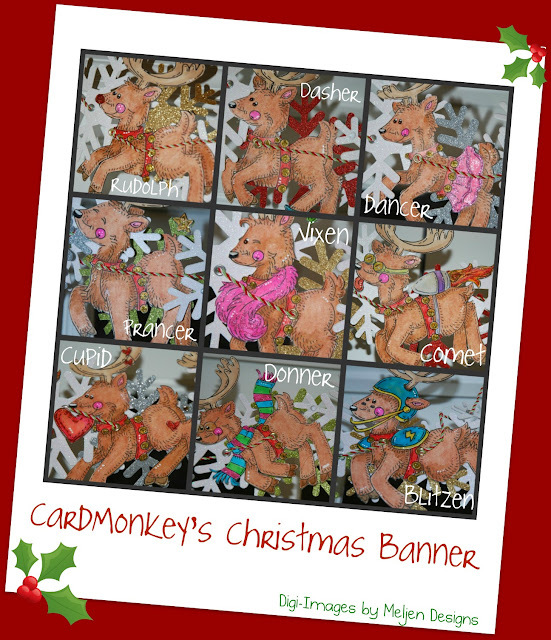 Love thw reindeer banner It is adorable, Your coloring is masterful The children will definitely love this! I love your banner for Day 2!! Love the rosettes!!! I think I like this one a tad bit better than Day 1! Thank you so much for organizing such an awesome blog hop for some amazing kids and their families! I knew of you before, but feel I really know you know and I am honored to call you a friend!!!! Love your day 2 banner Ellen, I love the shape of the banners. Thanks so much again for hosting this amazing hope. When was the last time you went on a Picnik? New Projects ... and A Blog Candy Winner! Banner Round-Up from this Weekend's SUPER Hop! !